Maharashtra Navnirman Sena (MNS) President Raj Thackeray attacked Prime Minister Narendra Modi again on Thursday, asking "how long will he (PM) continue to tell lies" to the country.Addressing a rally after taking out a massive procession to Churchgate to demand better facilities for Mumbai commuters after last week's stampede killed 23 commuters, Thackeray said the country was being pushed into crises on all fronts, brought about by the Bharatiya Janata Party government. "Modi has been lying and misleading the people of this country. Now I realize that when I visited Gujarat a few years ago at the behest of (industrialist) Ratan Tata when Modi was the CM, I was shown a misleading picture of the development there," Thackeray said to cheers.He reiterated that the people of the country had lost faith in Modi, who "only keeps giving speeches daily - how much is he going to speak?" 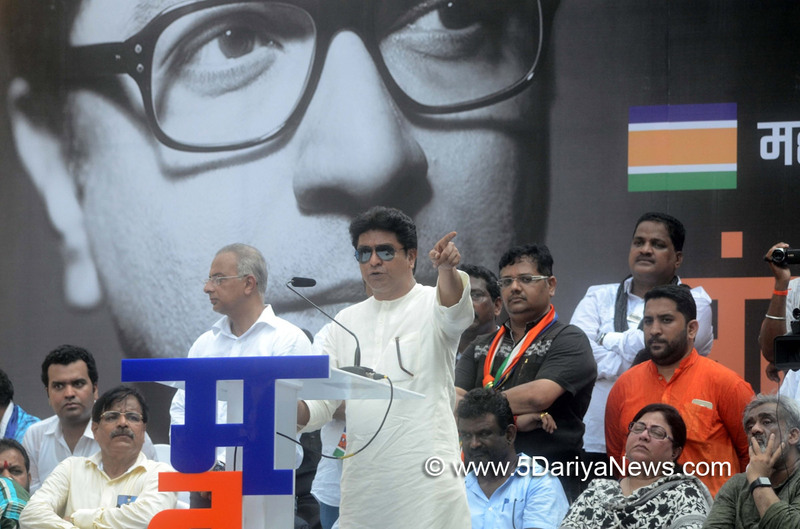 Thackeray asked the people to speak out against the government.The MNS chief said unless the commuters of Mumbai were given better amenities and facilities, the party's next agitation "would not be a peaceful one".